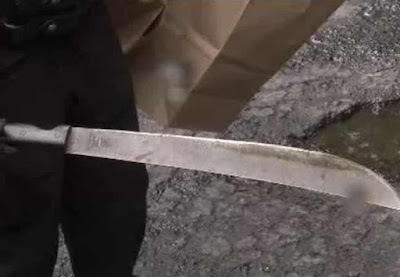 An 18-year-old young mab, Imoro Abubakari has been arrested by police after he allegedly chopped off the left hand of his 40-year-old sister-in-law, Faiza Abdellah, in Kpano, in the Ghanaian Northern Region. The Northern Regional Police Spokesperson, DSP Mohammed Yussif Tanko, told Adom News they received a call at 9am on Sunday to report the incident. The suspect in his statement admitted that he committed the offence. He stated that the woman, Faiza Abdellah, used a stick to hit his mother’s hand, causing her a fracture. He said he wanted to avenge the harm done to his mother, hence his action. DSP Mohammed Tanko said the suspect then chased the victim and inflicted a machete wound on her, rendering her left hand hanging on by just a thin piece of flesh.